General TV Channel / Telenica (Canal 8) is a nationwide terrestrial television channel from Nicaragua, founded by Nicaraguan businessman Carlos Briceño. Telenica is one of Nicaragua’s main channels. Its programming is aimed to the family audience, concentrating on news broadcasting, informational programming, sports and commentary, specials, series and musical shows. Its high standards of content and productions make it a favorite channel among Nicaraguan viewers. "A synonym of objectivity, credibility and experience, their renowned journalists bring us the most complete information every evening on local and international events." Telenica, S.A. is also the owner of Radio 8, a local radio station. 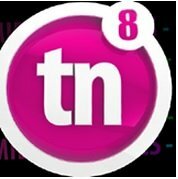 Canal 8 has the number one news program in the country (Cronica TN8), and it also has the number one sports show in the country.